KIEV, Ukraine -- A senior Kremlin aide accused the United States on Thursday of arming Ukrainian “rebels” and, urging the Kiev government to put down what it called an attempted coup, warned it could intervene to maintain the security of its ex-Soviet neighbor. Sergei Glazyev, an adviser to President Vladimir Putin with responsibility for relations with Ukraine, told a newspaper that U.S. “interference” breached the 1994 treaty under which Washington and Moscow jointly guaranteed Ukraine's security and sovereignty after Kiev gave up its Soviet-era nuclear arsenal. Asked by Kommersant-Ukraine daily whether Russia might “actively intervene” if the country's crisis deepened, Glazyev recalled the Budapest Memorandum of 1994: “Under the document, Russia and the USA are guarantors of the sovereignty and territorial integrity of Ukraine and ... are obliged to intervene when conflict situations of this nature arise. “There is information that within the grounds of the American embassy, there is training for fighters, that they're arming them,” Glazyev said. 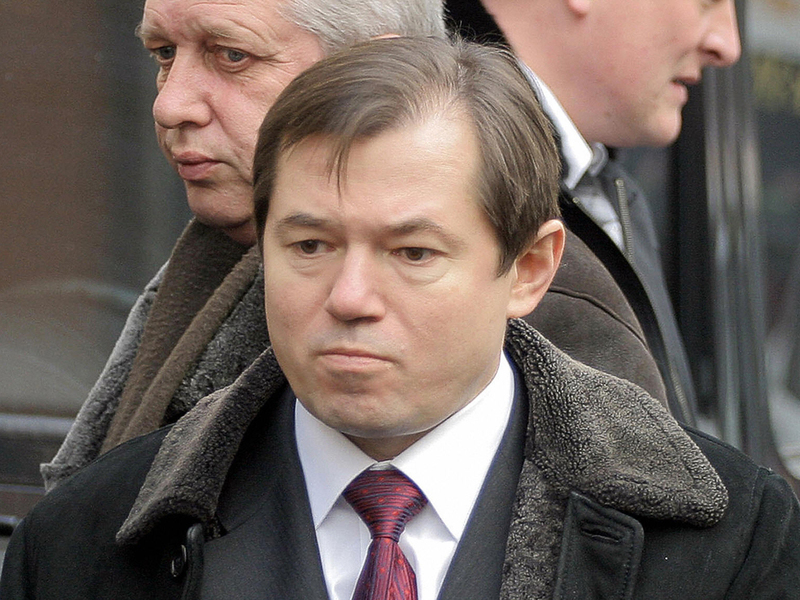 The U.S. Embassy in Kiev told CBS News on Thursday that Glazyev's "accusations are entirely false and should be given no credence." The embassy also noted that Assistant Secretary of State Victoria Nuland was in the Ukrainian capital and planned to address media on Friday. An opposition leader from Kiev who claims he was brutally tortured by unidentified men during two weeks of captivity said Thursday that his kidnappers had asked about his relationship with American officials. Speaking from Lithuania, Dmytro Bulatov said the men who tortured him asked how much money the American ambassador in the Ukraine had given him and where it was, and accused him of being an American spy. The Kremlin official suggested Yanukovich should use force if necessary to put an end to a protest movement that Glazyev called “an attempt at a coup d'etat, at the violent overthrow of authority” in which public buildings had been occupied. Asked by the paper if Yanukovich should now use force to clear the protesters, Glazyev said: “As for starting to use force, in a situation where the authorities face an attempted coup d'etat, they simply have no other course of action. He said Yanukovich had done all he could to avoid violence, in contrast to the opposition, and accused leaders in the Ukrainian-speaking west of the country of being “separatists". Russia, he said, was concerned that the country should not split apart. But he suggested that a form of federalism be introduced to give regions substantial powers &#151; including over their budgets and even over international relations.